Sometimes, all it takes to solve a crime is a footprint or a tiny piece of DNA. In the National Law Enforcement Museum, which has opened only recently, visitors get a first-hand experience in how police operates. It was this very museum that Herbert Kickl, the Austrian Federal Minister for the Interior, visited at the outset of his stay in Washington, DC. Obviously, this was not the main aim of Kickl’s trip. From November 7-9, 2018, he held a number of bilateral meetings, including one with the U.S. Homeland Security Secretary Kirstjen M. Nielsen. 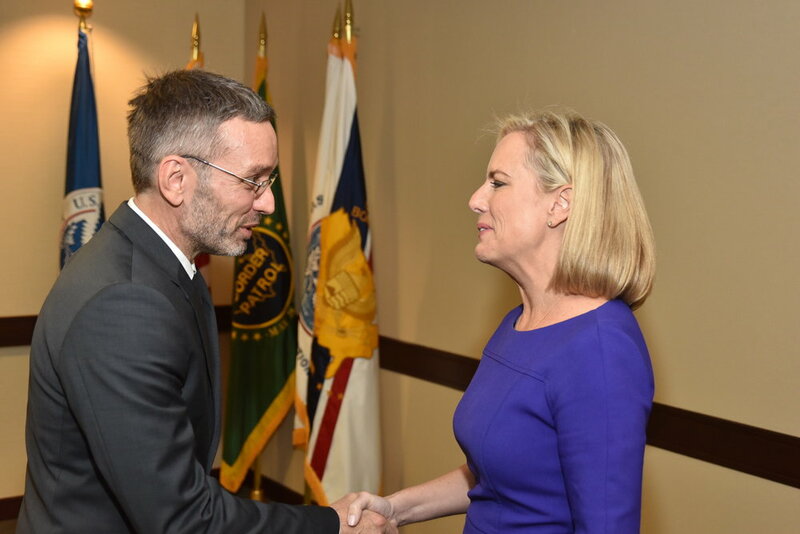 Besides, Minister Kickl visited the National Response Coordination Center of the Federal Emergency Management Agency and the National Targeting Center of the U.S. Customs and Border Protection, the largest federal law enforcement agency in America. Last but not least, Kickl participated in the EU-U.S. Justice and Home Affairs Ministerial Meeting, representing Austria together with Federal Minister of Justice Josef Moser.